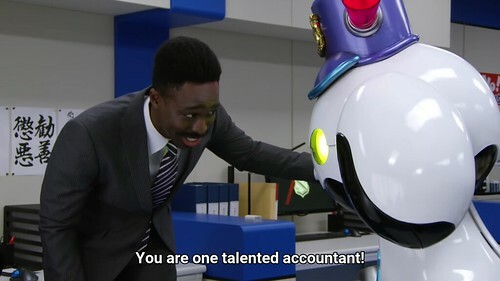 The police rangers on the show have a black boss, Commissioner Hilltop, played by Ike Nwala, who is apparently an American of Nigerian descent who is a comedian in Japan. Anyone here know anything about him and his popularity in Japan? There are three entries for Lupinranger #2 up on Aidoru Online, but none of them say "sub" so I'm assuming they're not subbed. If anyone finds a link to the subbed version, please let us know. I'm gonna watch the unsubbed version on Daily Motion now. P.S. I downloaded one of the ones on Aidoru Online. It's unsubbed but far superior in quality to the Daily Motion one. 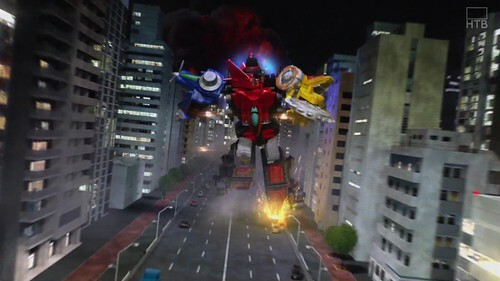 There's a great vehicle chase through Tokyo, ending in Tokyo Bay, early in the episode, with the Lupinrangers in one-person aircraft and the Police Rangers in motor vehicles and Kudo's character does a clever maneuver where she unleashes a buzzsaw from the undercarriage of her plane and slices off a billboard from a building to fall into the street to block the Police Rangers. Overtime has the second episode subbed. They're pretty fast getting them out. Kudo's great at perky, happy, joyful, but she needs to work on expressions of grief, anguish and fear. I understand that her MM persona was always cool and stoic and unflappable, but now she's got to open up a bit more. I watched the first two episodes last night, and that was my reaction, too. Now, this is a silly series, but silly shows generally reward over-acting over subtlety. The camera loves her, though, so she'll probably have plenty of opportunity to grow into the job. 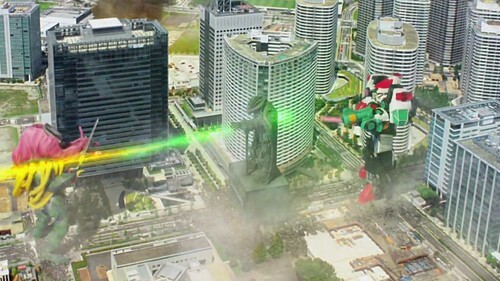 Episode 3: Kudo doesn't get a lot to do, other than cowering before the opposing team's Green Ranger (out of costume). The Blue Ranger has the introspective moments in this episode. 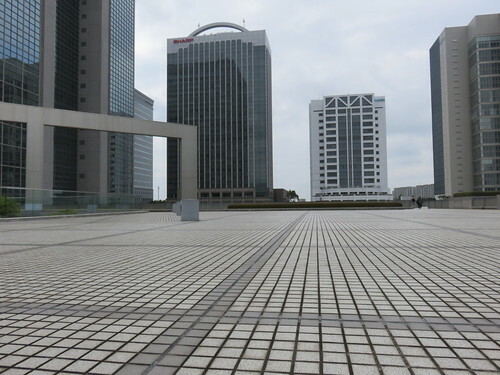 But they do go to some interesting, if oft-used locations in the greater Tokyo metropolitan area. 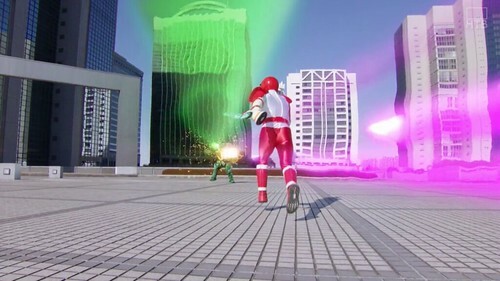 In episode #4, Kudo and the Lupinrangers had little to do. It was more focused on the Police Rangers. Okay, I've watched episode #5 and I'm getting really disappointed in this series. 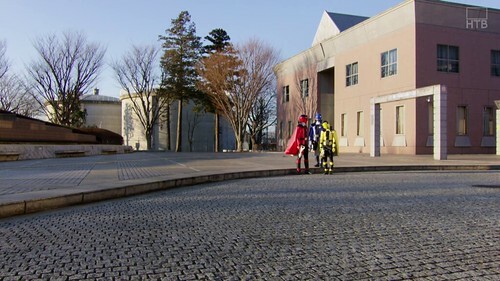 In most sentai series (actually, pretty much ALL of them), the emphasis is on team dynamics and getting the five members to learn to work together and cooperate and put ego and emotion aside and learn teamwork and humility and such. We don't get that here. We have two opposing groups of three Rangers each and they're in constant conflict, so there's little opportunity for character development. 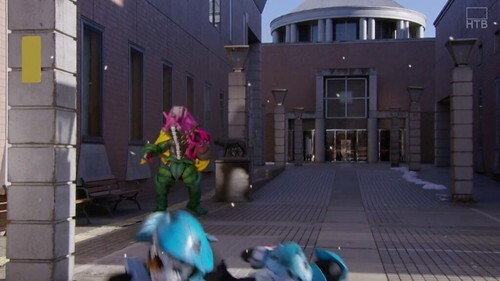 They each want the same thing (the Lupin artifacts) and the police rangers get angry when the Lupinrangers outwit them. That's about it. As a result, poor Kudo gets very little to do. I hope it changes as the series progresses. I hope they realize how they're wasting such great potential and make changes. It wouldn't be the first time a sentai series has changed direction midway through. I like the change in dynamic. Also, plot synopses are out weeks in advance in Japanese TV Guide, and episode 7 is supposedly an episode centered on her. Kudo was the focus of yesterday’s episode (#7) and she more than meets the demands of it. She has a big dramatic scene, complete with tears, and she nails it. She also does some stunts (and it’s really her out of her Lupinranger costume) and seems to come out unscathed. Funnily enough, I had a dream last night, before seeing this episode, in which I was having a conversation with Kudo in English and trying to give her constructive feedback about her acting. She was somewhat skeptical. I woke up just as I was about to make my main point. Turns out she didn’t need my advice after all. I figured you'd like this one. No mention of the Sukeban Deka reference though? I did see episode 9 in my Tokyo hotel room. It had a French woman as the main guest character. I have some catching up to do. I didn't see #8 because I had to go to Yokohama for HinaFest that morning. In fact, I got there so early I went a few stops more so I could search for Paty's Cafe, the Yokohama shop used as the exterior of the Lupine Cafe in the show. I got lost and never found it and had to get back to Pacifico Yokohama for the concert. I just downloaded eps. 8, 9, 10 and 11, but I'm still getting them unsubbed from Aidoru OnLine. Anyone have links to subbed eps.? Overtime Subs gets them upped usually within a day. I'm able to download them by Sunday night. Now that production of Lupinranger has been completed, does anyone know what's next for Kudo? She has a FC event later this month.